We got approximately five hours of much needed sleep at our hotel in Beijing before it was time to head out the next day by bus to to catch our high speed train to Qingdao, the location of our first concert. 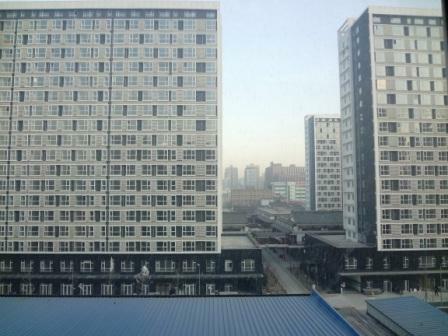 Before we left, I took a picture of the view from our Beijing hotel. 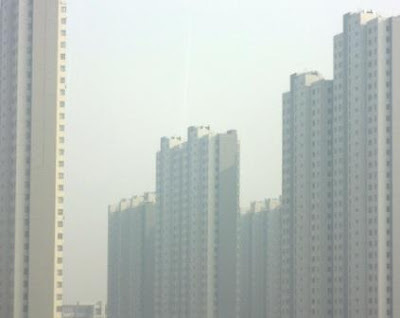 There were many tall buildings nearby and in the distance. 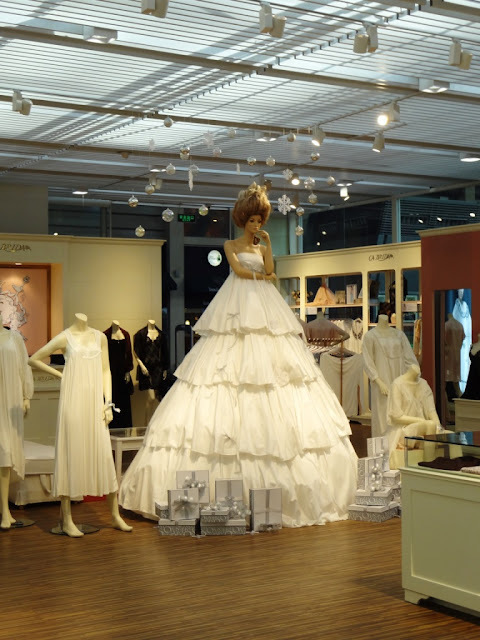 At the train station I saw a very tall wedding dress. 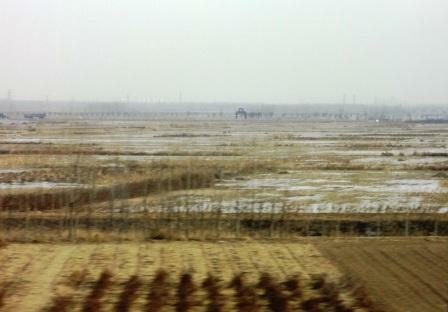 The view from the train, which was our first real view of China, was kind of depressing. 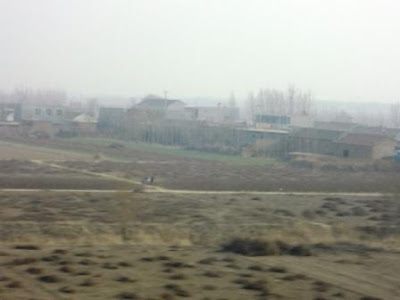 There are some areas in northern China that are always hazy from the pollution. The rural areas reminded me of parts of Mexico. Kind of dusty and desolate. Quite often, right in the middle of nowhere, there would be huge apartment complexes being built. 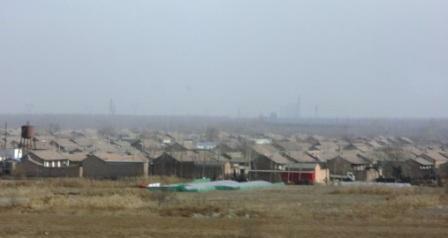 I suspect that that these many buildings are being put up in preparation for new factories, but I can't say for sure. It was early evening when we arrived at the train station in downtown Qingdao. We then spent about an hour in horrendous traffic on the bus trip to our hotel on the edge of town. 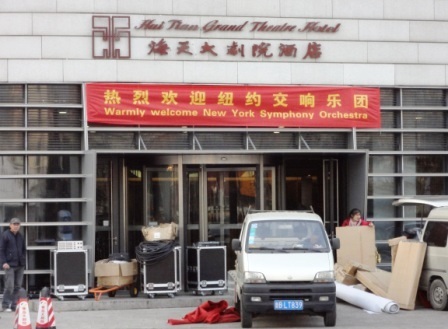 Fortunately the hotel was part of the theater complex where we would be performing the next day. At 7:30 PM they served us a 14 course banquet. It was the first of many banquets that we would have on this tour. Every meal we had in Qingdao was wonderful. I kind of love that dress, as impractical as it seems. Yeah, it kind of reminds me of the tiers on a wedding cake.